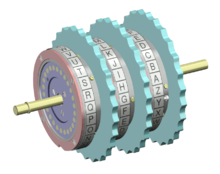 Friedrich L. Bauer, "An error in the history of rotor encryption devices", Cryptologia 23(3), July 1999, page 206. Cipher A. Deavours, Louis Kruh, "Machine Cryptography and Modern Cryptanalysis", Artech House, 1985. আইএসবিএন ০-৮৯০০৬-১৬১-০. Karl de Leeuw, "The Dutch invention of the rotor machine, 1915 - 1923." 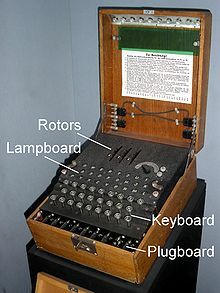 Cryptologia 27(1), January 2003, pp73–94.